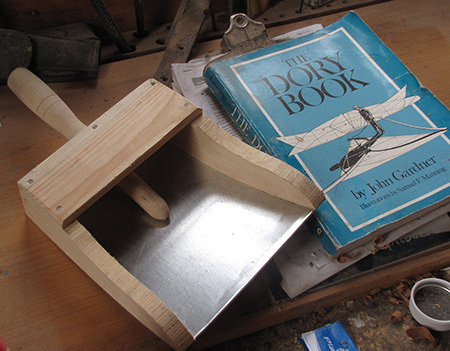 Made by our local blockmaker, these wood and sheet metal bailers are the real deal for a traditionally kitted dory. And like most historic designs, they work like a charm. Looks a lot better than a Javex bottle! Cost is $30 CAD plus tax and shipping.